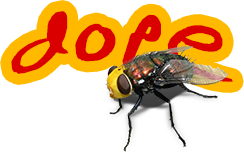 dopefly dot com - both dope and fly! This is Nathan Strutz's personal web site. This web site is so dope, and so fly. Recently, I updated the stylesheet to make it uglier mobile friendly! Bonus points to me also because you'll make a few fewer requests and the stylesheet is smaller than it's been in 15 years (yay flexbox). There may be some nice content floating around here. Try the tech blog to see what's happening. Also, you can check out my projects to see what kind of things entertain me. Saturday, (3/2), MrNate writes "The Right Number of Comments in Code"
Thursday, (2/28), MrNate writes "Continuing the blog upkeep"